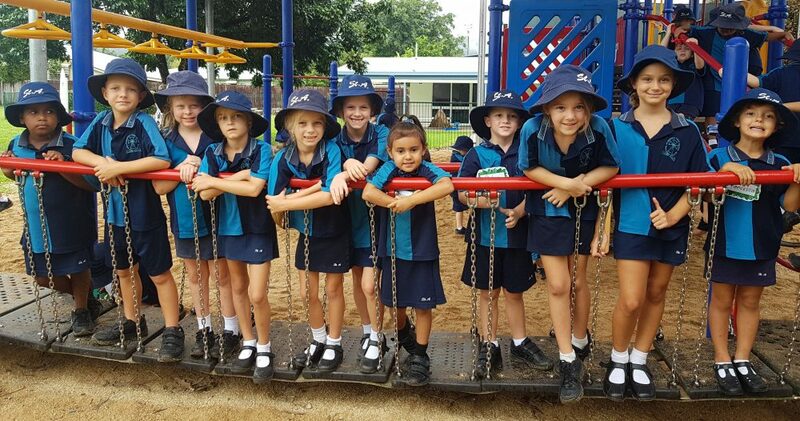 Yulmburral to the last Newsletter of Term 1. As we rush to the end of our first term of 2019, I would like to congratulate and thank the parents and guardians for all the support in making the 1st Term of the 2019 school year so successful. A special congratulations to our Prep children and families for ‘surviving’ the term. Well Done!! The school has parents on both the Board and P & F eager to work and communicate with the wider parent body to continue the journey of making our community school better all the time. A challenge was put out to the school by CES at the start of the year. Congratulations to all parents and students in improving school attendance. Your efforts have moved our school from 7th last out of 29 schools to 5th place in the Diocese. The winners of course will be each child. Can I reinforce, the message that it is not about 100% attendance. There will be times when illness and family matters dictate that your child(ren) may not be able to attend school. The aim is to improve attendance. As Mr Bill Dixon our School Executive Director reminds us; “improved attendance lifts achievement”. It was wonderful to see families participate in our Term 1 Community Mass last Saturday evening. Thank you to Mrs Hall and the children who had various roles during the mass. Maybe next term there will be less rain on the night. A small one minute video is available on the school’s closed Facebook account. The P & F Easter Raffle will be drawn next Friday and the 4 hampers are starting to fill up. All sold and unsold books of tickets need to be returned to the Front Office by Thursday Week 10. APRE Mrs Hall and Board President Mr Madgwick have been encouraging parents to complete the Enhance Catholic School Identity Survey. The survey data is important for providing an understanding of our current state of Catholicity at St Augustine’s. Collecting this data is one of the three significant goals for 2019. Don’t forget to collect your block of chocolate from Mrs Santarossa when you have completed this survey and good luck for the final draw of the Family Movie Pass and BBQ. 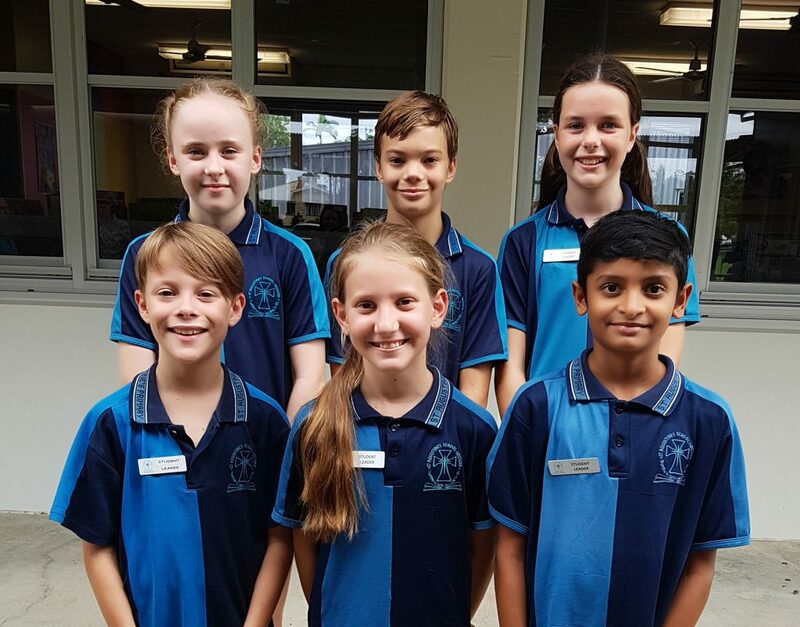 Thank you to our Term 1 School Leaders: Rudra Patel, Hayley Fischer, Xavier Mullane, Isabella Macfarlane, Abagail Green and Kyan Alvoen. You have set a terrific standard for your classmates to follow. Your school community thanks you for your service. Term 2 recommences Tuesday 23rd April. Pre-ANZAC Day school liturgy – Wed 24th April (Week 1, Term 2) Time of Liturgy will be communicated via Broadcast and School Facebook accounts. Enjoy the rest of the term, have a restful holiday and a holy Easter.